For his last year running the Toronto International Film Festival, Piers Handling made a bold choice. To kick off the annual movie showcase on Thursday, he picked a Netflix Inc. picture about Robert the Bruce, who led Scotland in its first war of independence against England. While films about historical figures aren’t rare at festivals, the choice to open with a Netflix release was. In March, the Cannes Film Festival effectively banned the online giant from its competition by barring pictures not released in local theatres. Though it will lay out US$8 billion this year for movies and TV shows, the streaming service is controversial on the awards circuit because management insists on releasing movies online and in theatres all at once. Maybe so, but the attention-getting opening slot for “Outlaw King” will almost certainly bolster Netflix’s chances for awards and fuel the ongoing debate over the impact digital distributors are having on the independent movie industry. Some filmmakers and theatre owners worry streaming will further jeopardize cinema-going. Movie attendance in North America has declined for years and global growth is being driven by China. The last few years have been tough on independent filmmakers. Major studios are focused on big-budget projects, such as comic book movies, that cost hundreds of millions of dollars yet offer billions in potential box-office sales. Independent dramas priced in the tens of millions are viewed as too risky these days, given the wealth of home-viewing options, and have become rarer at festivals. But new digital distributors like Netflix, Amazon.com Inc. and Hulu LLC are bridging the gap, Handling said. Besides shopping at festivals, Netflix has built a team to develop and produce films in-house, led by industry veteran Scott Stuber. “Their appetite has grown on the production side, which helps many independent films get made,” said Rena Ronson, who co-heads the independent film group at UTA, the talent agency. Ronson will be among those combing Toronto for new stars and is selling rights to movies such as “The Biggest Little Farm” -- a documentary about a couple who try to revive a Los Angeles-area farm. Agents like Ronson who package and sell films will be looking out for Apple at the festival: The iPhone maker is the latest big technology company to plan movies for online viewers, “so that first film will be an important one but will be exciting to watch,” Ronson said. Netflix has already become a major distributor of documentaries and won its first Oscar for a feature-length film this year with “Icarus,” about doping in sports. Its fall crop of movies is ambitious, with its eight Toronto films marking the company’s biggest offering there yet. They include “22 July,” based on a book about Norway’s deadliest terrorist attack, and “Roma” from Alfonso Cuarón, who won an Oscar for “Gravity.” The movies will get a theatrical release, although it is unclear yet whether Netflix will part from its usual practice of streaming films simultaneously online. Groups like Europe’s International Confederation of Art Cinemas are concerned about the threat to smaller theatres if big festivals like Toronto and Venice -- another important fall outlet for Oscar contenders -- promote movies that are more likely to be seen on big-screen TVs. “A prestigious film festival allowing in its official selection lineup titles that will not be seen on the big screen internationally encourages practices that endanger an important sector of the film industry,” the group said in a statement. Giving films a theatrical run makes Netflix releases eligible for an Oscar and in turn helps the company attract filmmakers. But online service has also angered major theatre chains by refusing to let movies show exclusively on the big screen first. Amazon, which gives its movies a theatres-only run, has been welcomed by the film community. The dealbreaker at Cannes was a French rule that bars movies from streaming for 36 months after their theatrical release. In April, Netflix Chief Content Officer Ted Sarandos said the company decided to pull out of Cannes rather than have its films and filmmakers “treated disrespectfully,” according to Variety. That didn’t stop him from acquiring “Happy as Lazzaro,” which grabbed the award for best screenplay. 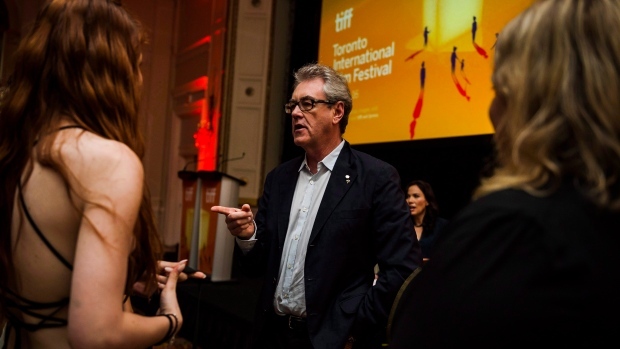 Handling said his choice for Toronto’s opening night reflects a shift by directors who are now taking advantage of new funding and distribution opportunities created by streaming. In contrast to past years, U.S. or global distribution rights to many pictures at the festival have already been sold. Still, Handling estimates buyers will spend $30 million to $60 million, with much of it going to projects that are just starting. And while independent movies costing in the tens of millions have become scarce, more movies with smaller budgets are getting made. Frederico Jusid, who oversaw the music on the movie “Life Itself,” an Amazon Studios film opening in Toronto, welcomes the opportunities streaming has created. “I’d much rather have options and a more stimulating film menu on video-on-demand than being forced to watch the latest blockbuster movie,” he said in an email.